From the internationally bestselling author of the Sword of Truth series comes a new Richard and Kahlan novella. "They are the monsters under the bed when you are little, the shape just caught out of the corner of your eye when you thought you were alone, the shadow of something in a dark corner that surprises you and then isn't there. They stop you dead with a knot of unexpected terror in the pit of your stomach. We have all seen fleeting glimpses of them. Never long enough to see them as I saw them, but it was them. I recognized it the instant I saw it. "We've all seen flashes of them, the dark shadow just out of sight. They could briefly terrify us before but never hurt us because they came from so far distant. They were never able to fully materialize in our world so we saw only transient glimpses of them, the shape of them if the light was just right, if the shadows were deep enough . . . if you were afraid enough. "I think that the star shift has brought us closer to their realm so that they now have the power to step into our world and hurt us." — Kahlan Amnell. 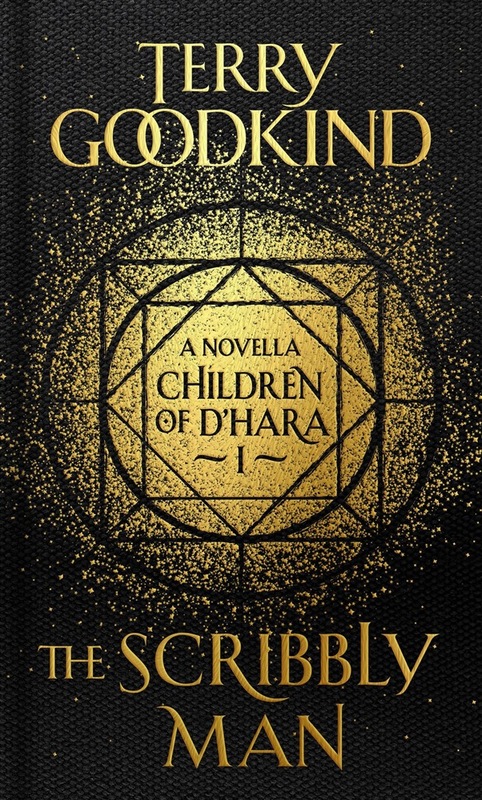 Acquista The Scribbly Man in Epub: dopo aver letto l’ebook The Scribbly Man di Terry Goodkind ti invitiamo a lasciarci una Recensione qui sotto: sarà utile agli utenti che non abbiano ancora letto questo libro e che vogliano avere delle opinioni altrui. L’opinione su di un libro è molto soggettiva e per questo leggere eventuali recensioni negative non ci dovrà frenare dall’acquisto, anzi dovrà spingerci ad acquistare il libro in fretta per poter dire la nostra ed eventualmente smentire quanto commentato da altri, contribuendo ad arricchire più possibile i commenti e dare sempre più spunti di confronto al pubblico online.